Coffee Junkies-- Is one or two cups of coffee enough? How about 1000? Now we're talking!!! I love blogging and connecting with other people, especially folks who have very different lives from my own. That was one of my favorite parts of doing Project 365, being inspired by other photographers, and enjoying their points of view on the day. I’ve been wanting to do an interactive blog for a long time, one where lots of people could participate. Last October I was with some friends in Chico (we were there for a reunion of the design department at California State University Chico, where we had gone to school over 30 years ago) and several of us pulled out our cameras to photograph our coffees before we drank them. At first I envisioned this project for a specific group of friends, but then I became more excited about opening it up, and seeing where it took me. Coffee is a great connector. It is home, it’s international, it’s private, it’s social. It’s plain and it’s beautiful. And I drink it daily....in fact several times a day. 1000 cups of coffee seemed like to much that it would force me to photograph it in new ways, and really look at it from every angle. It would give me an excuse to learn more about coffee, and an even better excuse to make coffee dates with my friends. I have been reaching out to my friends, and flickr contacts, and everyone is delighted to participate. Just this week I started reaching out to people I don’t know...when I find a photo on flickr I love, I check out the photographer and try to guess if they’d be interested, and then write them a letter. That’s how I met Lana, an art student from Moscow, living in NYC, who has been shooting coffee for years. I’ve also had several people I don’t know send me coffee photos. It’s always exciting to wake up in the morning and see what shows up in my mailbox. I have no idea where this will go. I am only at photo #50, and have 950 more to go. I’ve already made so many discoveries...and I expect there will be many more. It’s been energizing and fun, and really, that’s the most one can expect from blogging and from coffee! I am happy to have contributed a few photos to this blog-- Check out day 54, day 45, and day 41. I hope you'll make coffeeserveddaily a stop that you'll enjoy everyday with your own daily cup of coffee! 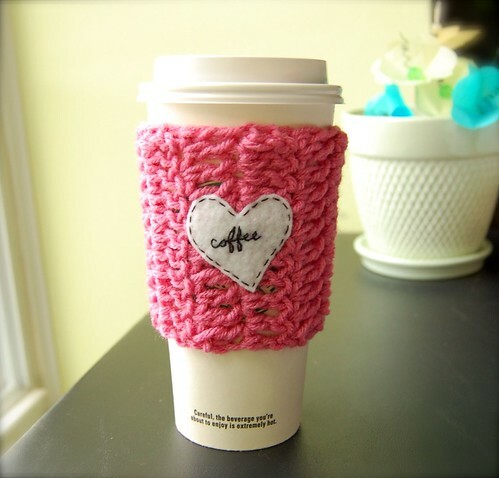 I am so inspired by Kim and her blog that I have decided to do my own 1000 coffee cup project. Follow my project on flickr!